Irises are beautiful and often showy flowers. They are a wonderful attraction that I find very hard to resist. I often feel compelled to stop and admire the flowers whenever I see them in a garden or a landscaped area. Irises are sometimes useful as well as attractive. The rhizomes of some species are known as orris roots. These are used commercially to produce a pleasant fragrance for perfumes and for items such as potpourris and natural toothpastes. Orris root is also used to flavour beverages and food. 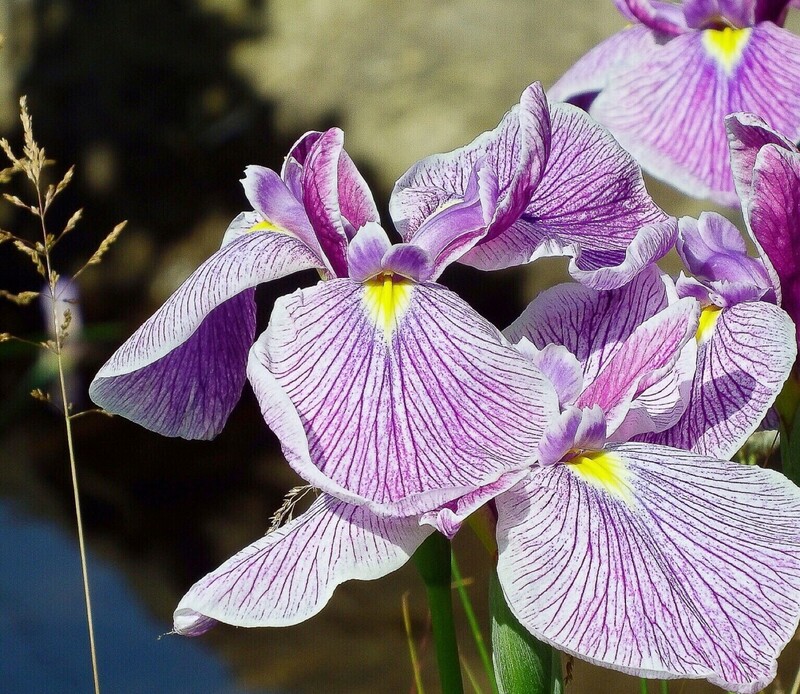 One species of iris—the yellow flag—is used as a water purifier. Unfortunately, this species can become invasive. Irises generally bloom in late spring and early summer. Some produce flowers for a second time in late summer. The leaves of an iris plant are generally tall, narrow, and sword-shaped. Irises are perennial plants and grow from rhizomes or bulbs, depending on the species. I've described forty facts about the plants below (plus a few extra facts because irises are so interesting). 1. 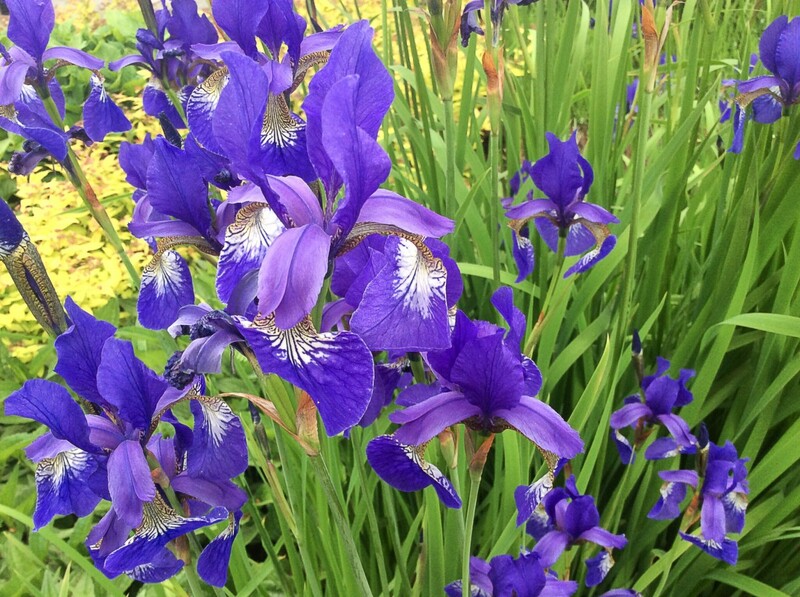 Irises are named after Iris, the goddess of the rainbow in Ancient Greek mythology. 2. The flowers come in all the colours of the spectrum, except for red. Some irises have a dark, red brown colour, but there are no bright red irises. 3. Iris flowers have six attractive and colourful lobes. The three inner lobes are petals and the three outer lobes are sepals. 4. Most flowers have coloured petals and smaller, green sepals. When the petals and sepals are both large and colourful, as in iris flowers, they are sometimes known as tepals. 5. The three petals of an iris flower stand upright and are often referred to as standards. 6. The three sepals may also stand upright, but they more commonly spread outwards or curve downwards. The sepals are also known as falls. 7. The fruit of iris flowers takes the form of a pod. The pod contains the seeds. 8. Irises belong to the flowering plant family known as the Iridaceae and are classified in the genus Iris. The genus is the first word in the scientific name and the species is the second. 9. A huge variety of cultivated irises have been created. In some flowers, the standards and the falls have different colours. The falls are sometimes patterned or ruffled, which often adds to the attractiveness of the flowers. 10. According to the American Iris Society, cultivated irises are divided into three groups: bearded, aril, and beardless irises. 11. Bearded irises have hairs running the centre of their falls. Aril irises are named for the white cup or collar (the aril) around their seeds. 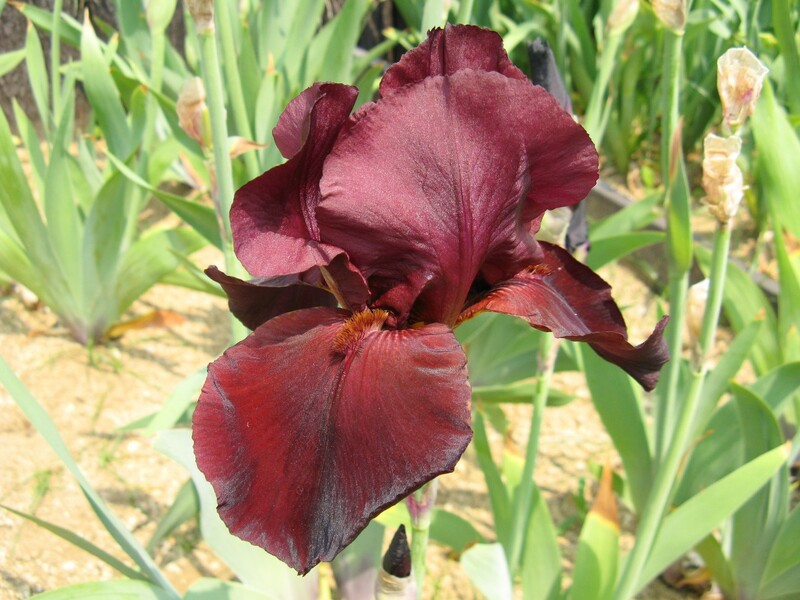 Hybrids between aril and beaded irises are called aribreds. 12. 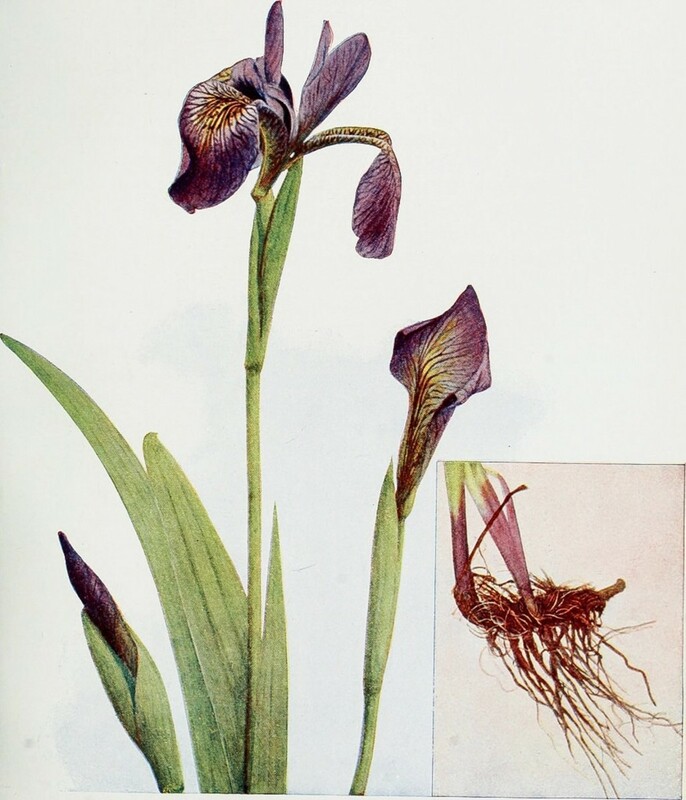 Irises are also classified into rhizome and bulb types. A rhizome is a horizontal underground stem. It has nodes that produce roots and a shoot. A bulb is a compact and highly modified stem. It has leaves (although they aren't green) and produces roots and a shoot when activated. Even though the imported garden irises are very beautiful, the 28 iris species native to the United States are beautiful in their own right. 13. The yellow flag iris, or yellow flag, has the scientific name Iris pseudacorus. It's a beautifuł plant with yellow flowers. The sepals are often decorated with short brown or purple streaks. 14. Yellow flag is native to Europe, Asia, and North Africa. It has been introduced to North America. 15. 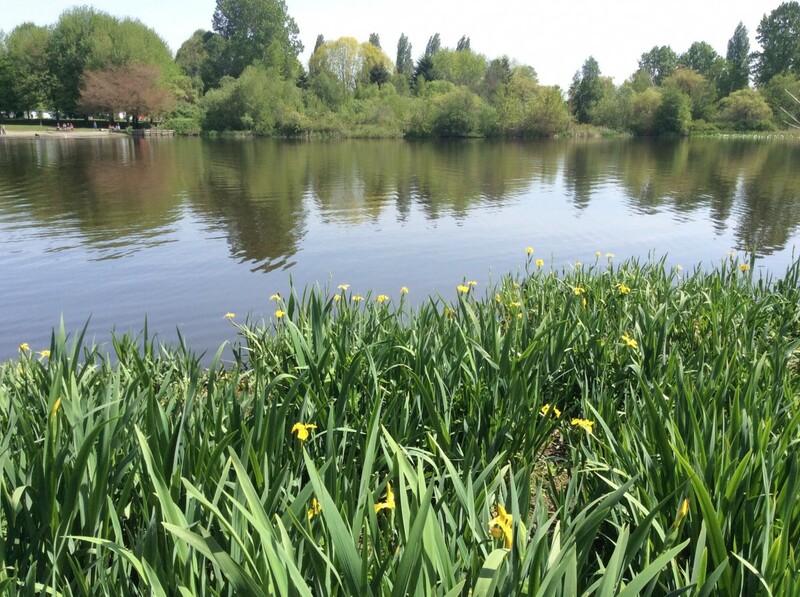 Yellow flag grows at the edge of ponds and lakes in wet soil and shallow water. It may be as tall as five feet, although most plants are closer to three feet in height. 16. Yellow flags form dense stands above ground and thick mats of rhizomes in the soil. Since rhizomes are stems, they branch and produce shoots. They also develop roots. Very often, the yellow flags in an area are produced by the same rhizome system and are connected to each other, forming a colony. 17. 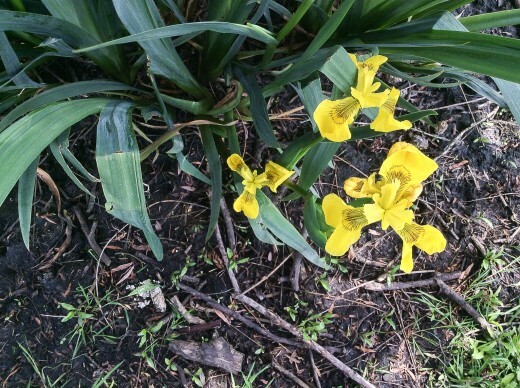 The seeds of yellow flag iris were once roasted and used to make a beverage. 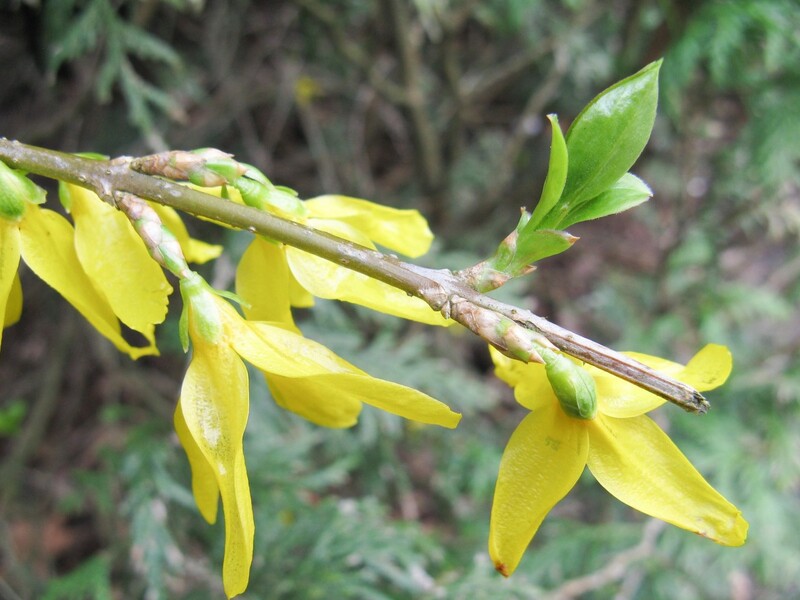 The flowers were used to make a yellow dye and the rhizomes were used to make a black dye. The plant is toxic, however. Ingestion can cause vomiting and diarrhea. Contact with the leaves or rhizomes can irritate the skin. 18. 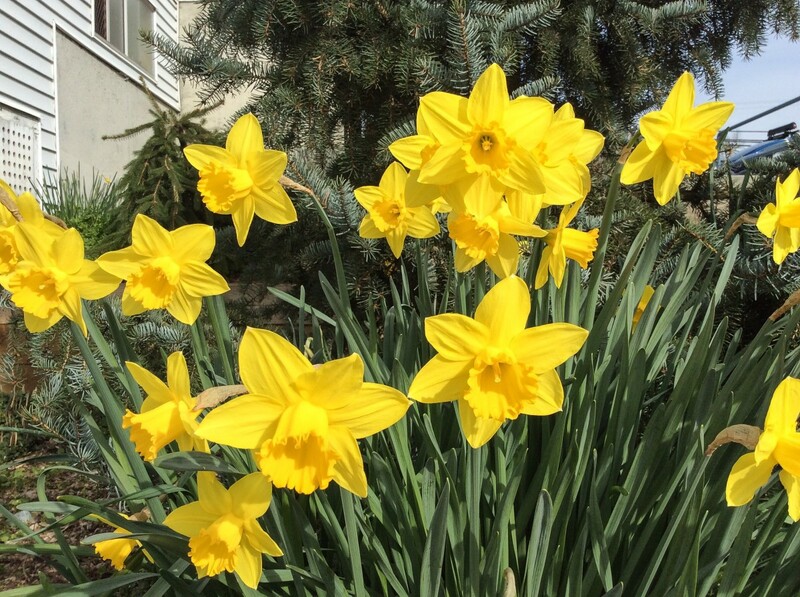 Despite the plant's acknowledged beauty, the Invasive Plant Council of British Columbia (where I live) says that the yellow flag is "wickedly aggressive" and shouldn't be planted. 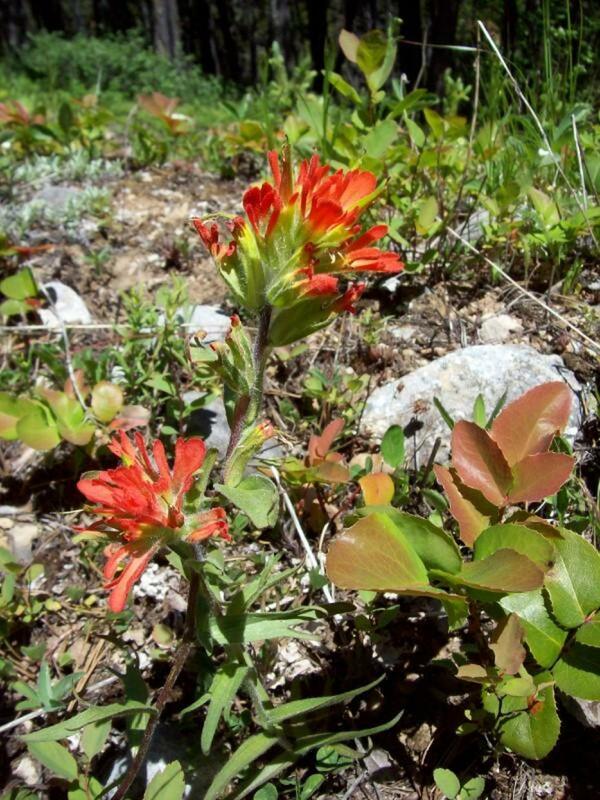 The plant isn't classified as invasive in all parts of North America, however. 19. Yellow flag colonies may consist of hundreds of plants. The irises can crowd out the native plants needed by birds and wildlife. They can also block drainage and irrigation channels. In addition, their rhizome mat can trap sediments and change the nature of habitats. 20. Yellow flags spread easily. A piece of broken rhizome that is carried to a new area by water can grow roots and shoots and start another colony. Seed pods and seeds float and can be transported to new areas by flowing water. This fast-growing and fast-spreading invasive plant can outcompete other riparian (water loving) plants, forming almost impenetrable thickets. 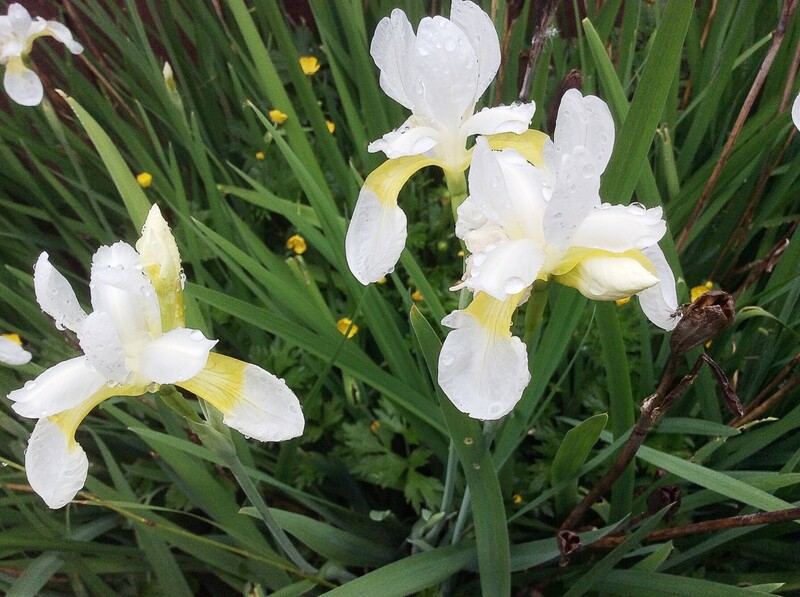 Yellow flag irises can be useful as well as a nuisance. They purify water by removing heavy metals and nutrients in agricultural runoff with their roots. 21. 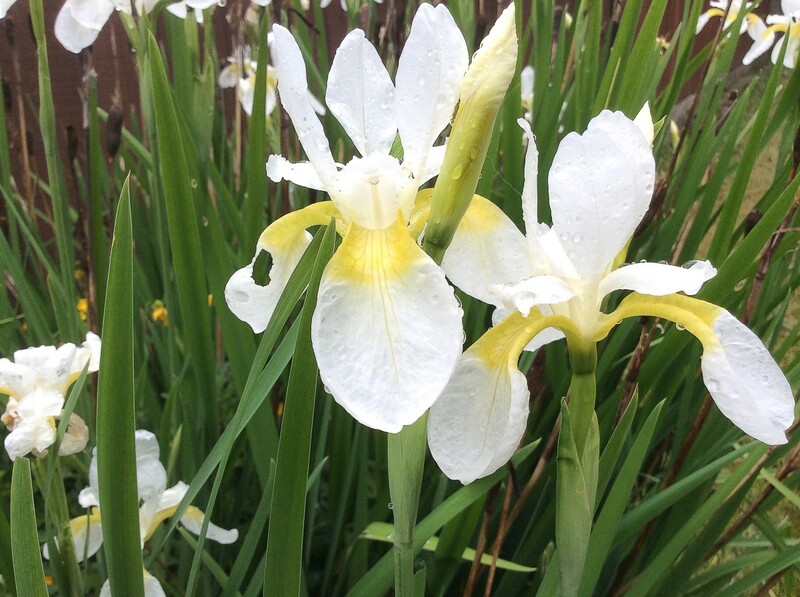 Three types of irises are used to produce orris roots commercially. These include the species Iris germanica (German iris) and Iris pallida as well as the variety known as Iris 'florentina'. 22. The word orris is thought to be a corruption of iris. 23. Technically, orris roots are rhizomes, not roots. The preserved rhizomes are brown in colour and have a woody and sometimes lumpy appearance. 24. Orris root has a scent that resembles the fragrance of violets. The root must be dried for at least three years in order to develop the best scent, however. 25. The aged root is ground into a powder and then steam distilled to obtain an essential oil. Sometimes the thick oil is known as orris butter. 26. Orris oil is added to perfumes, cosmetics, and some types of gin, including Bombay Saphire. In perfumes, it provides a base note in the fragrance. It also acts as a fixative that prevents other scents from disappearing. 27. Like many other natural products from plants, orris root is said to have a long list of health benefits. These benefits haven't been scientifically proven, however. 28. Prolonged exposure to orris root or its components may irritate the skin and airways. 29. Some people develop an allergic reaction when they are exposed to orris root. 30. An allergic response is a more serious disorder than an irritation and involves the release of histamIne in the body. 31. Symptoms of an orris root allergy include hay fever, asthma, and hives. 32. Hypoallergenic products don't contain orris root. Iris flowers have been the subjects of some famous paintings, including ones by Vincent van Gough and Claude Monet. 33. Irises are mildly to moderately poisonous for humans and animals. The poisoning is generally not fatal, but it's important to note that different individuals have different sensitivities to noxious chemicals. 34. ASPCA (American Society for the Prevention of Cruelty to Animals) says that irises are poisonous for both dogs and cats. The organization also says that the rhizomes are the most toxic part of the plant. 35. Like yellow flag, all irises can cause salivation, vomiting, and diarrhea. Skin contact with any part of an iris plant can cause dermatitis. 36. The toxin in irises is called iridin. 37. Preserved orris root seems to be safe for humans in the small quantities used as a fragrance or flavouring, but the fresh parts of the plant definitely aren't. 38. Fleur-de-lis is a French term that refers to a stylized drawing of a flower. The drawing is associated with royalty and heraldry. 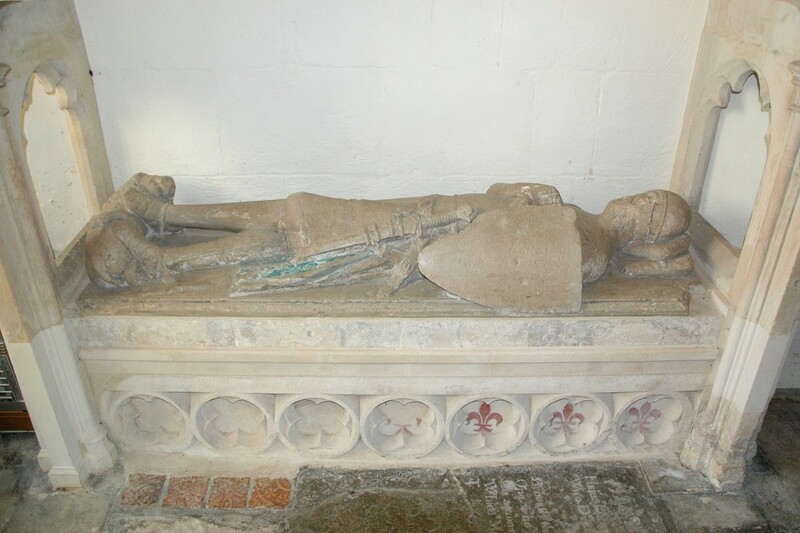 It has also been used to represent the Virgin Mary. 39. Although the term fleur-de-lis means "flower of the lily" when translated into English, the drawing actually looks like an iris with its upright standards and drooping falls. 40. It has often been suggested that the word lis (or lys, as is sometimes used) is actually a corruption of a word associated with either the yellow flag iris or its habitat. There are different theories about what this word was, however. The yellow flag is thought to have been abundant in the wetlands of France at the time when the fleur-de-lis symbol first appeared. Irises are said to be easy to grow. 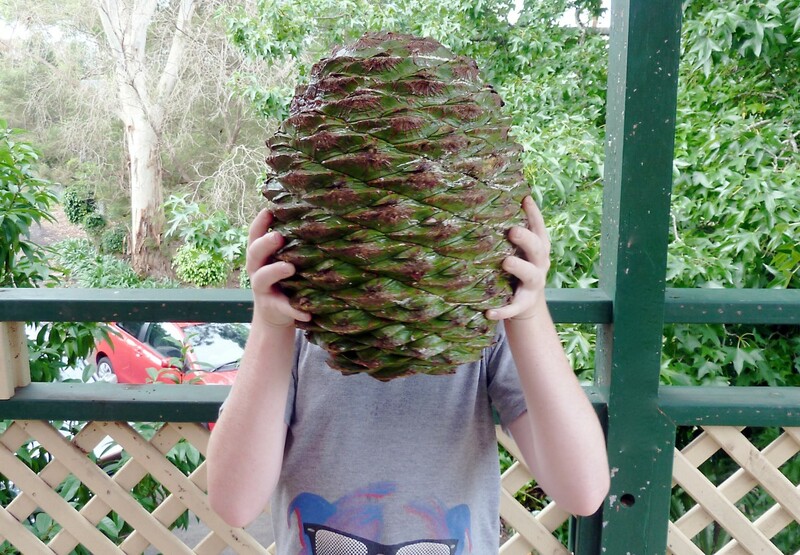 I remember that we had lovely ones in our garden when I was a child. Whether they are enjoyed in a garden or in parks, iris blooms are a wonderful sight. I wish the blooming period lasted for longer, though. If the reblooming species are planted, the enjoyment in seeing the flowers can be experienced for a second time later in the summer. That is definitely something to look forward to. I have bearded iris pods. Can I plant them and expect new plants to germinate? Do I have to dry the pod and then extract the seeds and then plant them, and when do I plant? The seeds should germinate if planted correctly, but they do need to be removed from the pod. They should be collected once the pods have dried, turned brown, and started to open up. The seeds inside should no longer be green. If they need to be stored before being planted, they can be kept in an envelope. Most iris seeds need to be exposed to cold to germinate. They could be planted outdoors in the fall or early winter. If this is done, they should be placed about an inch apart and a half inch to three-quarters of an inch deep in the soil. The soil should be kept moist but not wet. The seeds could be planted in a pot that is left outside instead of in the ground. Some people recommend soaking the seeds before planting them to get a higher germination rate. Soaking is done for forty-eight hours to two weeks. The water must be changed daily. A strainer is useful to prevent the loss of seeds when the water is changed. 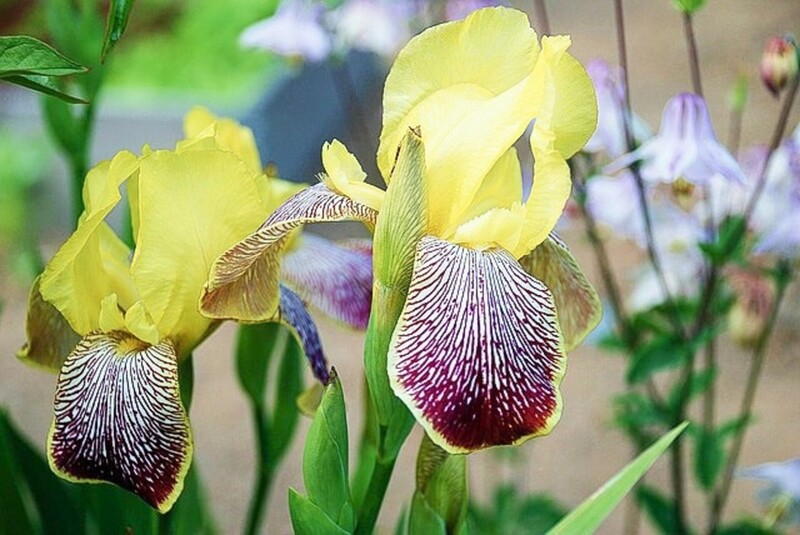 Although the steps described above work in many areas, you should consult a garden center or expert iris growers in your part of the world before you plant the seeds. The local environmental conditions over winter might mean that the steps need to be modified, such as by exposing the seeds to a cold period in a refrigerator instead of outdoors. Why don't my irises flower? There are multiple reasons why irises don’t flower. I’ll list some possibilities. An expert who sees your plants and their environment and asks you questions would be able to give you more specific advice. Irises may fail to flower due to soil problems, such as too much or too little fertilizer in the soil or too much or too little water. The presence of pests in the underground parts of the flowers may prevent flowering. Planting these parts too deep in the soil can also prevent flowering, as can overcrowding. Environmental problems such as too much shade or a period of very low temperatures once leaves and buds have appeared can stop plants from blooming as well. My blue iris has white streak damage in the leaves. Why? You really need to consult a plant care specialist in your area who can examine the plant or at least look at photos of the damage and ask you questions. The streaks may have appeared due to an infection of some kind, so you should get the iris checked by a local expert. What do I need to do to get my iris to bloom twice? The rebloomers are interesting types of irises. Some kinds produce new flowers soon after the old ones die and others produce new flowers later in the season. Even though plants are bred as rebloomers, they may not produce a second set of flowers in a year, however. The ability depends on environmental conditions as well as genetics. Though I don't know the specific problem that is stopping your plant from reblooming, I can describe some reasons why irises fail to rebloom. Many rebloomers won’t produce a second crop of flowers in the more northerly and cooler zones of the United States. It’s important to buy a variety that can rebloom in these conditions if this is where you live. If the nights are consistently warm the plants may not rebloom either, depending on the variety. Some types need a cooling period in order to produce more than one set of flowers. The plants need extra care in terms of water and fertilizer to enable them to produce two or more sets of flowers in a year. They likely won’t rebloom in their first year of life but may when they are two or more years old. The rhizomes will probably need to be divided and replanted more often than those of irises that aren’t bred to rebloom. Thanks for sharing the information, Barbara. Your neighbour must have been very upset about the ruined iris bed! This iris just may be my favorite flower. It is drought-resistant, easy-to-grow, and I love the smell. As far as I know, the rhizomes are not toxic to gophers. They demolished a whole bed of my neighbor's irises. Hi, Linda. I appreciate your visit and comment. Irises are one of my favourite flowers, too. There are so many different varieties and they are so lovely. I love this! Irises are one of my favorite flowers. People with too many could always give them to me... back when I had land to live on. I'm in an apartment now. Thank you very much for the comment, ChitrangadaSharan! These are such beautiful flowers and their colours are so unique and bright. I loved going through the interesting facts about Irises , the pictures and the video. Hi, Peggy. I like all the irises that I've seen. They are such beautiful flowers. Thanks for the share! Great information about the iris plants. I personally like the bearded varieties grown up north although the Louisiana irises more common in our area certainly are also beautiful. Sharing! I agree - the different colours of iris flowers are gorgeous! Thank you very much for the visit, Kailua-KonaGirl. I love the beautiful, exotic look of irises and am always amazed at the gorgeous variety of colors. Every time I see I new color I wish I had the space to add another variety. Learn some things from all these facts such as didn't know that the Yellow Flag variety are so invassive. Good to know for my small gardening space. Thank you very much, adevwriting! Congrats on the Most Beautiful Hub award! Thank you for such a kind comment, Pamela! I appreciate it very much. It is obvious why you won the award. I have always loved Irises, and I miss seeing them in FL. Your article had a wealth of information, and it brought back memories of the irises I enjoyed when I was growing up and lived in the north. Beautiful hub. I appreciate your kind comment very much, MsDora. Congratulations on your Hubbie award! Thank you so much, Bill. I was very happy to see that you won a Hubbie award, too! Congratulations on winning the Most Beautiful Award! Keep on sharing such interesting information and beauty. Congratulations Linda. This hub is both educational and beautiful. Certainly well deserved. Thank you very much, Faith! Congratulations to you for your Hubbie award, too! Congratulations, Linda, on this Most Beautiful Hub winning the Most Beautiful Hubbie Award! Absolutely beautiful. Thanks for the visit, Glimmer. I appreciate your comment. I'm sorry about the problem with your irises. So lovely. My favorites are the bearded iris. Unfortunately many of mine have the borer which is not good. This is a really pretty hub. It certainly is, Suhail! I love studying nature. Thank you for the comment. I like the way that you also treat flowers, trees, and wildlife as individual species and cover each of them individually in your hubs. But hiking for observing nature is really rewarding, isn't it? Thank you very much, Suhail! I love observing flowers and taking photos of them, too. Like you, I see some interesting wildflowers when I take my dog for hikes. I love flowers and take shots of wildflowers when out hiking with K2, but I tend to cover them broadly. You covered Iris as individual family, which made it very interesting to read. I haven't taken any shots of Iris yet, because I don't think I have seen them growing in the wild here. Thank you very much for the comment, the shares and the votes, Blond Logic. I appreciate your visit very much. It's interesting to hear about the yellow flag in Brazil! Wow so much information about the iris. I had no idea that parts were toxic to animals and an irritant. They are one of my favorite flowers. I live in Brazil and have only seen the yellow flag growing near lakes, although others may be here. 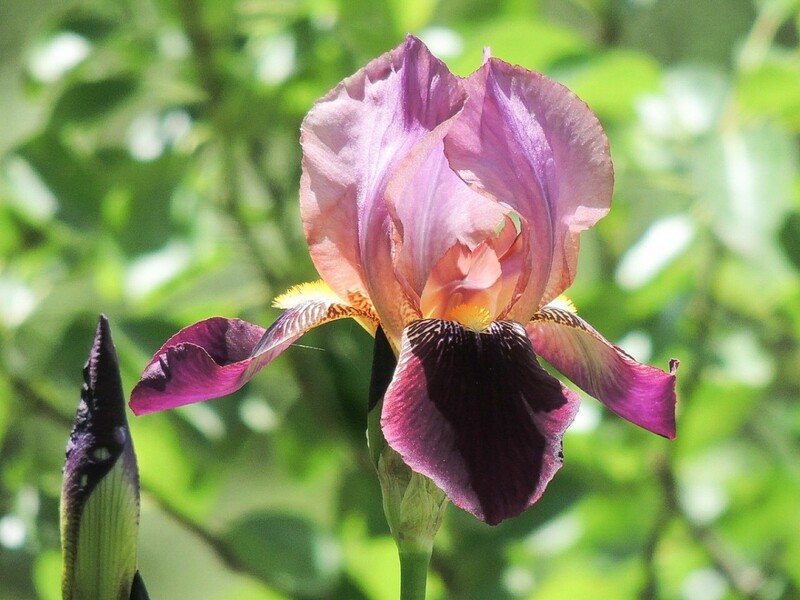 My cousin is a fan of irises, I'll be sharing this article with her and also on Pinterest. Thanks, adevwriting. I agree - irises are beautiful flowers! Really beautiful images! Flowers are beautiful creations of Nature. Thank you very much, Martie. I'm happy to read your comment! Thank you very much for the comment, MM Del Rosario. Hi, Dianna. I can understand why irises evoke lovely memories! Thanks for the visit and comment. My mother had lovely irises planted in our front yard. I remembered how much I enjoyed them while reading your article. Thank you for the education on this flower. I agree, Mel - we certainly do tamper with nature at our own risk. Thanks for the comment. In Albuquerque we had irises everywhere, here in San Diego it seems like I don't see them much, our predominant landscaping flower being of the tiger lily variety. I always enjoy learning the various uses of plants. We tamper with nature at our own risk, because these plants provide so much for us, in the right balance. Great hub! Thank you very much, essie! I appreciate your visit and congratulations. I hope you're well, too. Useful, Awesome, and Beautifu! I had no idea that Irises could be toxic to humans. Nice photos and a lot of beneficial information! Congratulations on Editor's Choice. My pleasure Alicia anytime. I would love to grow them in my indoor container garden sometime. Thank you, Kisten! I appreciate your comment and vote. Linda, beautiful hub on irises with beautiful photos. I love irises. Voted up! Thank you very much for the kind and interesting comment, Flourish. Irises sound like a lovely graduation present! I learned so much from this wonderfully written and researched hub. The undergraduate university I attended had irises as a part of its 100+ year old heritage and at graduation presented students with roots so they could grow their own. Rhynes is definitely a nicer word than ditches! I love local dialects, too. It's a local Somerset word. Anyone else would call them ditches! I love local dialects and Somerset has loads, thank goodness. An old traditional area with a lovely accent and lovely people. Thank you very much for the comment, Ann. I love all the different colours of irises as well. Thanks for teaching me a new word, too. I've never heard of rhynes before! Thanks for all this fascinating and useful information, Linda. I love irises but didn't realise they were poisonous. I have yellow, blue and dark red ones in my garden and the yellow ones grow profusely in the irrigation ditches (rhynes) of the Somerset Levels. My favourite colour depends on the day!! Well done for all your research on this lovely flower. Like daffodils, they bring a smile to my face when I see the beautiful petals. Thank you for the comment and vote, Aladdins Cave. I hope you have a great weekend. What a beautiful discovery, Deb! Irises can certainly be showstoppers. Thank you for commenting. These are such distinctive and gorgeous flowers. 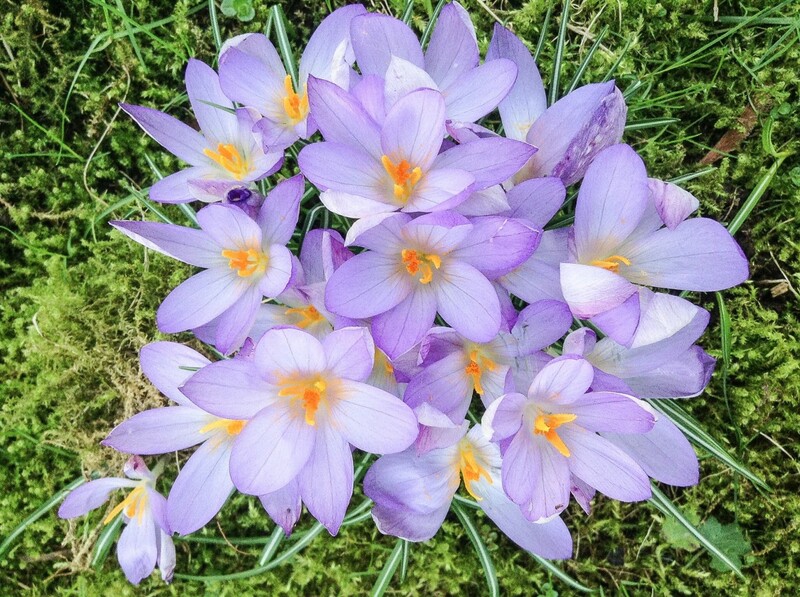 When I went back home to Maine for a few years after my father passed, I uncovered a number of gorgeous flowers, including these, some of which I never dreamed of seeing before. They are real showstoppers and take care of themselves. Great article! I wish they bloomed longer, too! I feel that way about a lot of flowers. I appreciate your visit and comment, DebMartin. Awesome and Informational. I too LOVE the iris, from the wild blue iris in my creek to the hybrids in my garden. I wish they would bloom longer. Thank you very much for the comment and for sharing the interesting information, Wendi! Thank you very much for the kind comment, Nadine. Loved the photos, great information and your post made me ever more grateful for the irises that appear every spring in our garden. Thank you for the comment and the vote, poetryman. I appreciate your visit! There are so many things I never knew about these beautiful flowers. The image of brushing my teeth with flowers is amusing. Thank you very much for the visit and the comment, Marlene. "Intriguing" is a good word to describe irises! Hi, Bill. I agree - the iris is definitely a beautiful flower! I love the sound of your driveway. It must look lovely. Hi, Patricia. Thank you very much for the comment, the votes and the angels, which I always love. It sounds like your mother's garden was absolutely beautiful! Great hub Linda. We have Iris all around our driveway and they are blooming now. We have always had a thing for the Iris, my parents have had them for years and most of ours came from my parents yard. It really is one beautiful flower. O yes...you take me back to Virginia when my Momma had iris of every shape and color growing all over our property. They have always been a favorite of mine. I have none this year but hopefully next year will have. Great hub so full of information I did not know. Thank you so much for all your support, Faith. I appreciate your comment, votes and shares very much, as I always do. I hope the rest of the weekend is wonderful for you. I love, love, love the Iris, especially the purple. I think that is the only color I have seen here in the US. Thank you for sharing the importance of their toxicity and to the other extreme of purifying water ...how interesting! Up ++++ tweeting, pinning, G+ and sharing another wonderful hub. Thank you very much for the kind comment, letstalkabouteduc! Thanks for sharing a wealth of information and all the glorious photos! Thank you for the visit and the comment, colorfulone. I learned a lot about Irises that I didn't know before. Thank you for the education and clear warning to not meat these pretty flowers. Hi, Rachel. Good luck with your iris plants! Thank you very much for the comment. Blessings to you, too. Hi Alicia, Iris' are a beautiful flower. I am thinking about getting some for my yard. Since I saw your hub, I am really going to do it. Thanks for sharing. Blessings to you. Thanks for the visit and the comment, Peg. I think that "gorgeous" is a great word to describe the appearance of irises! Beautiful plants with wonderful colors. They are gorgeous. We have a lot of purple flowering plants that grow in our pasture that look like the second photo. I wonder if they're irises. Thanks for the interesting facts about these flowers. Thank you, drbj. I appreciate your kind comment and vote, as I always do. I have always had a special affection for irises, Alicia, so you know how much I loved this hub and your spectacular photos. 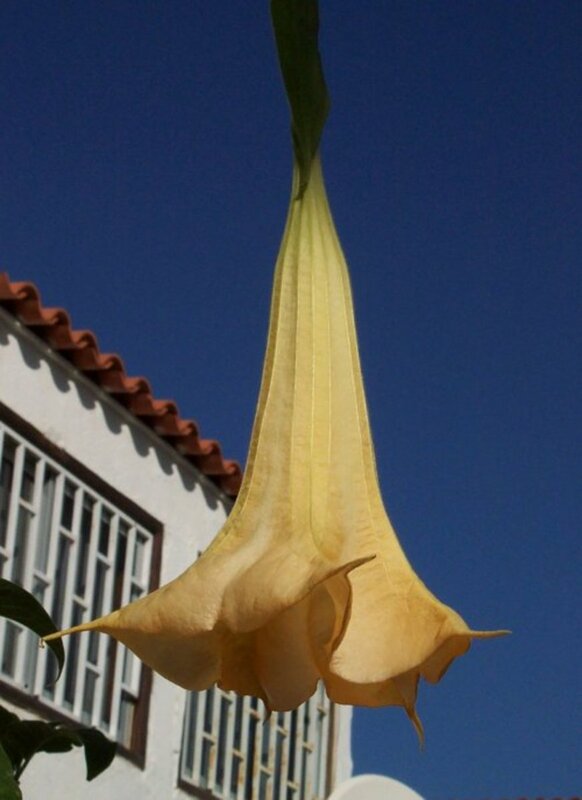 And thanks for all the additional interesting info about this beautiful flower. Voted Up! Thank you very much for the visit and comment, MsDora. Hi, Vellur. Yes, it would be very nice if yellow flag grew in moderation! Thank you for the visit. Most of the information is new to me, but the facts about allergy and toxicity are surprising. Thanks for a well-organized presentation. Great hub and interesting facts about Irises. If only the Yellow Flag grew in moderation it would be very useful to purify water. Thanks for the interesting comment, GarnetBird. These grow wild here in the mts./good hub. Hi, ologsinquito. I have fond memories of irises from my childhood, too. They are lovely plants. 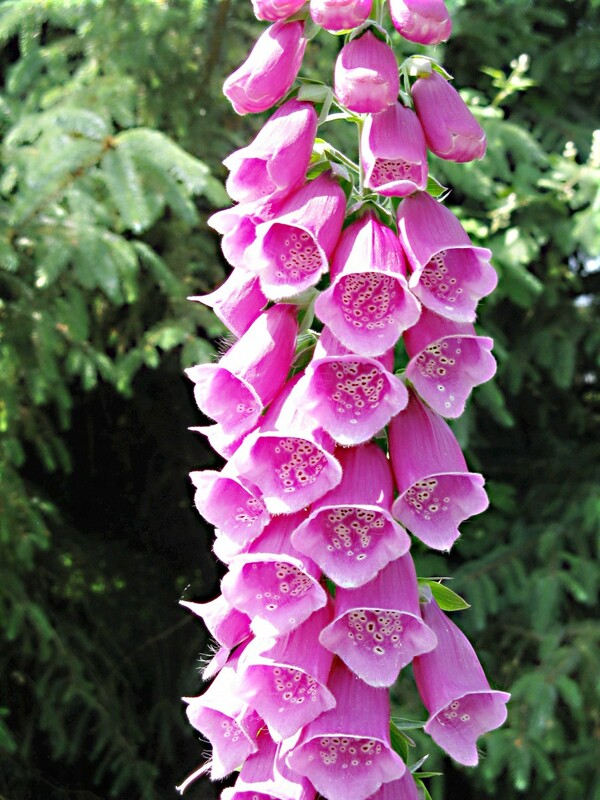 These are beautiful flowers. I remember them growing around my grandparents' house when I was young. Thanks, Rebecca. Irises are one of my favourite flowers, too. They are so lovely. What a beautiful Hub, Alicia. Iris is one of my fav flowers, so I was tickled to read this. Thank you so much for the comment, the votes and the share, Phyllis. I like pink irises, too, but I think that all the irises in the video are beautiful! Thank you, Jackie. I appreciate your comment, the vote and the share very much. I love irises and this hub is beautiful with the photos and videos. I would not be able to chooses a favorite of the many colors, but the pale pink iris in the video is gorgeous. Thank you, AliciaC, for this lovely hub. Voted Up, U, I, B and shared. Thanks for sharing the good advice, Maren Morgan. Hi. The yellow iris is also a non-native for the mid-Atlantic east coast of the USA. Native purple irises are much better for the entire ecosystem here. Thank you, Larry. I always appreciate your visits and comments. Very interesting hub. I very much enjoy learning about various plant species from you. Hi, linfcor. I agree - irises do look lovely in a garden! Thanks for the visit. Thank you so much for the lovely comment and for all the votes, janshares! I appreciate your visit.